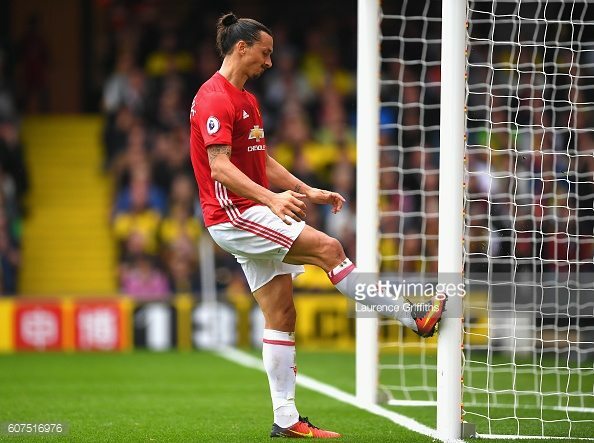 Fenerbahce vs Manchester United Betting Tip and Predictions. In the Round 4, in Group A, of the UEFA Europa League, Fenerbahce host Manchester United at Şükrü Saracoğlu Stadium. Read below betting preview, betting tips, useful info and betting predictions for the match between Fenerbahce vs Manchester United. Fenerbahce stand at the 3rd position in the Group A and their main goal is to qualify in the knock-out phase of the UEFA Europa League. In the last round, Manchester United smashed them 4-1 at Old Trafford, so home side will be fully motivated to revenge them. It won’t be an easy job, but Fenerbahce play very good at home and they believe that can make positive result upfront their supporters. In the first round, home team took only one point away against Zorya 1-1, but they have improved their performance and beat Feyenoord 1-0 at home. Fenerbahce are unbeatem in 12 of their last 14 matches in the UEFA Europa League and they are looking another good result, against Manchester United. They rested some players in the last Superliga match against Kardemir Karabuk, so they will play with the strongest possible lineup. Manchester United stand at the top of the table with two victories and one defeat in the first round against Feyenoord. Their recent performance is not at the high level and they are looking for better performance and results in the next period in all competitions. Visitors failed to win in the last 4 Premier League matches and have 8 points less than leading trio Manchester City, Arsenal and Liverpool. Their manager Jose Mourinho will probably make some changes and rest some players, so their main striker Zlatan Ibrahimovic will not be in the first eleven. On the upcoming weekend they will face Swansea, but it doesn’t mean that the match against Fenerbahce is not important for them. Big problem for visitors is their defence, because few very important defender are injured. Valencia, Eric Bailly and Phil Jones are all injured, while Chris Smalling has recovered from an injury, but he is not ready yet, so he didn’t travel with his team. After this game, Manchester United will have to play two matches in this group, against Feyenoord at home and against Zorya away, so I guess that they will be satisfied with one point in Istanbul. Home side have no serious problems with injuries and they will have full squad available. Visitors will be without Antonio Valencia, Eric Bailly and Phil Jones, while Chris Smalling, Michael Carrick and Memphis Depay didn’t travel with squad. Fenerbahce: Demirel; Wiel, Kjaer, Skrtel, Kaldirim; Topal, Souza; Potuk, Van Persie, Sen; Emenike. Manchester United: De Gea; Fosu-Mensah, Blind, Rojo, Shaw; Fellaini, Pogba; Martial, Mata, Lingard; Rooney. Home side will be fully motivated to beat visitors. They will have the big support and they are closer to win this game. Bookies gave an advantage to visitors, but I’m not sure are they capable to win this game. However, I expect tough match between Fenerbahce vs Manchester and maximum two goals.